Without proper and regular maintenance, the parts that are essential to your garage door will wear down and stop working, preventing access to the garage and potentially creating a security risk for your home. At Garage Door Repair Mableton we offer a service that covers all makes, models, and brands, so you can feel confident in your door working exactly as it is supposed to. 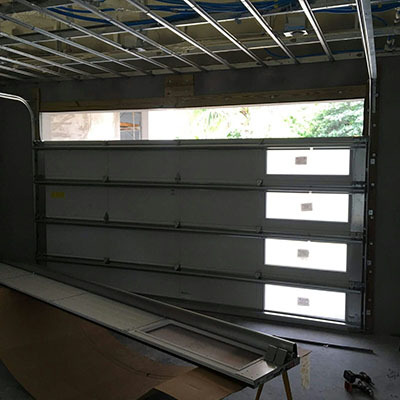 Our technicians are highly-trained and have been maintaining garage doors for years, so you can rest-assured that they will be able to locate any issues your door may have, or be in danger of developing, and get them fixed quickly. We work fast and offer the utmost in professionalism to every customer we provide our services to. There are times when the parts used in your door get worn down. When repair isn’t possible on-site, our technicians will replace these old parts with brand new ones that fit the make and model of your door. All of the parts we use are reliable and will ensure your door keeps working for longer. Even the most minor issues can cause major problems later on down the line, so it is always best to get them fixed as quickly as possible. We are able to locate these problems and resolve them swiftly. Our technicians have been repairing garage doors for years, so you can trust them to do the job well and fix any issues your door has. Some of the parts in your garage door can be dangerous once they have worn down. Torsion and extension springs, in particular, may injure people if they pop out. That’s why each of our technicians has been trained to spot the issues that may compromise your safety and resolve them. Regular safety checks will ensure your door presents no dangers to anybody in the household. Get in touch with us now if you want a garage door maintenance service that will keep your door operable for years to come. We offer professionalism and the highest standards of quality to all of our clients.